I went to Rio de Janeiro, Brazil as a part of the NRDC Delegation to The Rio + 20 Earth Summit to give a talk about plastic pollution at the invitation of Voices of African Mothers. Before I left Los Angeles, my friend Lucy Walker, Director of the Academy Award Nominated Film Waste Land, connected me to the ebullient star of her documentary, Tiao Carlos dos Santos, who organized the garbage pickers at one of the largest dumps on the planet, Jardim Gramacho in Rio, and is now a global leader in the movement to reduce waste. 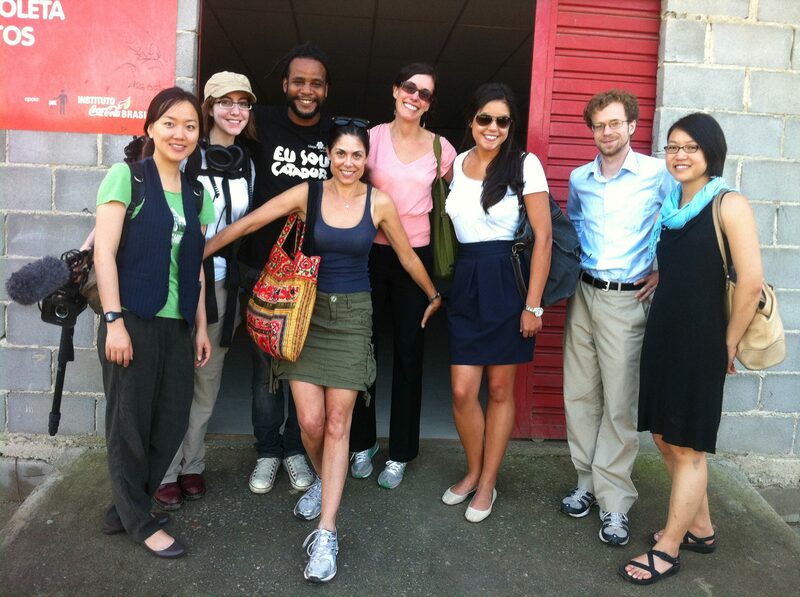 Once I was in Rio, Leila Monroe of NRDC's Oceans Program found a local translator and most of the NRDC delegation joined us for a meeting at the dump with Tiao. We were accompanied by a bright young filmmaker friend of Lucy Walker's, Slater Jewell-Kemker. Most of us had seen Waste Land and were beyond thrilled to meet Tiao, a real environmental hero, and to see Jardim Gramacho with our own eyes. Jardim Gramacho is no longer the densely populated village of scavengers and recyclers captured so provocatively in the film Waste Land. One of the largest open-air landfills on the planet, the facility was recently closed just weeks before The Rio + 20 Earth Summit. The intention is to cap the landfill and produce methane for energy from the trash. Rio's trash will now go to the high-tech Seropedica Dump that is lined, unlike Jardim Gramacho, and will use machines instead of human labor. The residents of Jardim Gramacho were each given a settlement from the government to move on and the opportunity for job training. I have to believe that Tiao's brilliant organizing and the world focus on these hard-working people gained through the film Waste Land has a lot to do with the favorable result for the people of Jardim Gramacho at the closing of the dump that was their source of living. We were to meet Tiao in his offices,on the periphery of the dump and village, but luckily our driver had no idea where he was going and we drove straight through the remains of the once thriving trash town straight to the entrance of the dump where government officials patrolled and directed us back to Tiao. However, we were not ready to leave, despite our throats closing up from the fumes of plastics being burned on either side of the road. We covered our noses and got out of the van to take a look around. 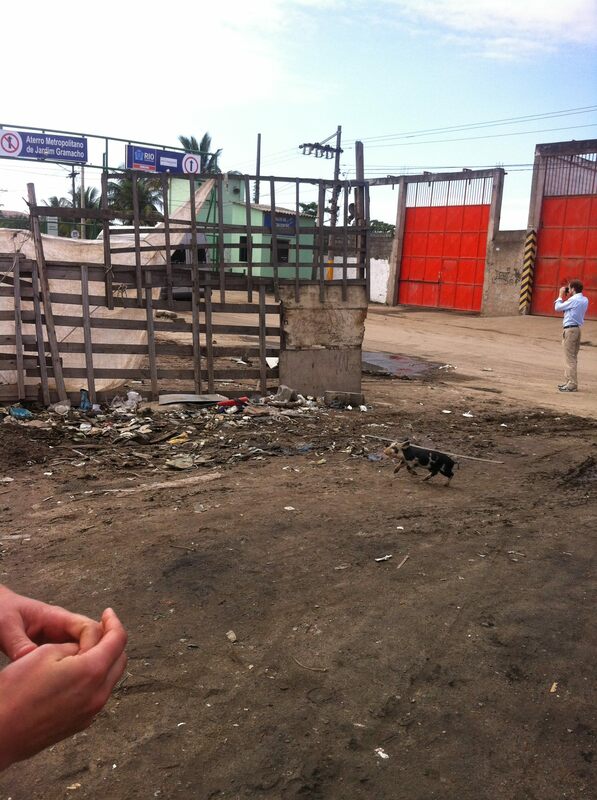 We had seen several large hogs rummaging in the trash on the drive in, but we found the mascot of Jardim Gramanco near the entrance to the dump, walking up toward us with curiosity: a tiny piglet so adorable we all lost our senses stumbling through trash and mud to photograph the tiny sentry. Our little porcine friend led us to a trash-strewn field with a shed under which he disappeared. 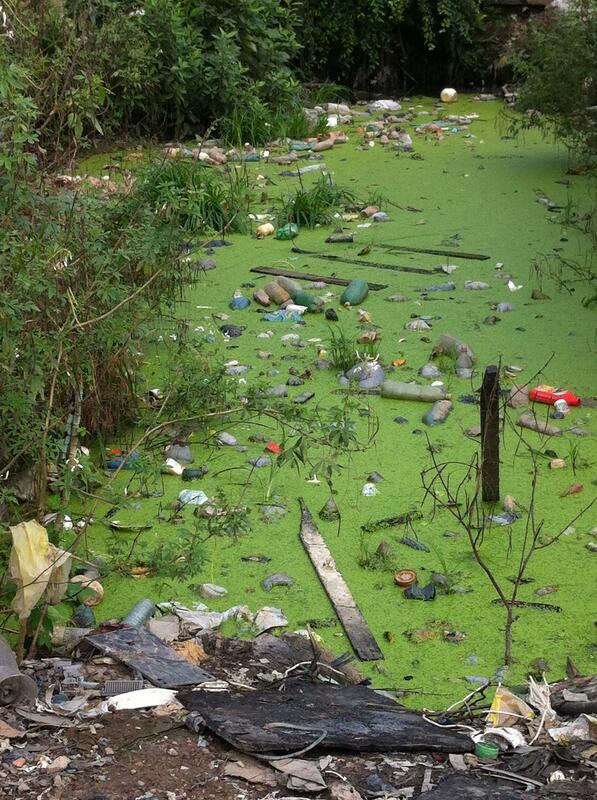 We were left to concentrate on our surroundings, the litter that escaped containment in the dump and a pool of green sludge filled with trash. While Slater filmed, Leila and I tried our best to make intelligent commentary about the type of waste we were seeing (mostly plastic) and the obvious threats to the ground water in this open, unlined dump built on what was once a mangrove marsh on the Guanabara Bay. It was hard to talk as we watched two young boys climbing barefoot through the trash we knew would be there as a permanent relic of our consumer culture gone mad with non-degradable, toxin-laced and often non-recyclable plastics. Tiao was everything I hope he would really be. Smart, knowledgeable about waste issues, charismatic and yet humble. We bonded talking about music "(Tiao:"I love Amy Winehouse! And Jay Z, but not Snoop Dogg, he is too lazy. "), children (Tiao, who explained in Waste Land how finding books like The Little Prince in the dump changed his life: "I want my children to love reading like I do, but it's so hard to keep them away from the computer!") and our shared mission to reduce plastic waste. Tiao was wearing a T-shirt for a project he is involved with called "I am a Trash Picker" ("Catadore" in Portuguese). He showed us footage of an educational project in which subway trains were filled with giant trash bags, preventing entry, to show people how much waste they make. Tiao is traveling a lot to meet with organizers of trash pickers around the globe. His goal is to help improve the lives not only of the garbage pickers of the world, but all our lives by teaching us to make less waste that pollutes our environment. Tiao is truly a lotus, coming up from the polluted marshland of Rio's dump to attract world attention with his warm smile and brilliant ideas about how to heal the world. His work at Jardim Gramacho now complete, I expect to follow him out of the dump and around the world as he teaches us how to stop being so wasteful.